We’re proud to say this is the #1 selling fiddle book in America! 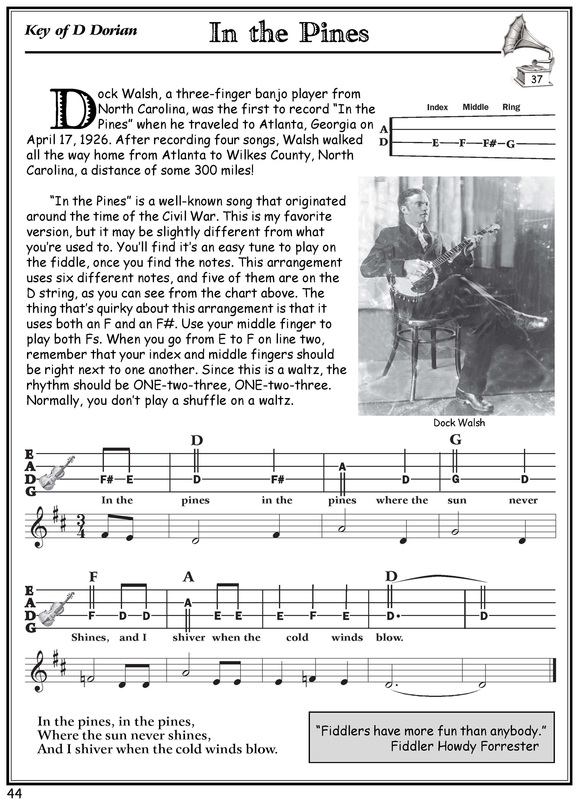 You WILL learn to play: Amazing Grace, Blackest Crow, Buffalo Gals, Charley He’s a Good Old Man, Cluck Old Hen, Cotton-Eyed Joe, Cripple Creek, Cumberland Mountain Deer Chase, Darling Corey, Don’t Let Your Deal Go Down, East Virginia, Groundhog, House of the Rising Sun, Ida Red, In the Pines, It Ain’t Gonna Grain no Mo’, Joy to the World, Little Birdie, Liza Poor Gal, Lynchburg Town, Muley’s Daughter, Old Joe Clark, Old Molly Hare, Polly Put the Kettle On, Rain and Snow, Red River Valley, Run Johnny Run, Rye Whiskey, Sail Away Ladies, Say Darling Say, Shortening Bread, Sugar Hill, Wagoner’s Lad, Wildwood Flower, Willie Moore. 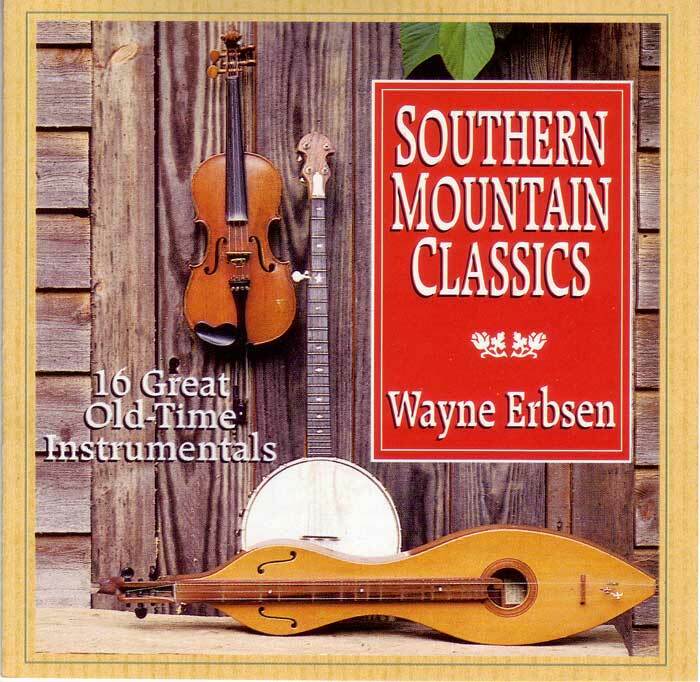 If you have a question about whether Old-Time Fiddle for the Complete Ignoramus would be helpful to you, please give Wayne a call at (828) 299-7031. He’ll be happy to talk with you and answer all your questions. When you claimed you could even teach an ignoramus like me to play the fiddle, I was suspicious. But danged if you didn’t! Wayne Erbsen’s years of teaching experience shows on every page. He makes it fun for the beginner to get started with a dose of folklore and humor thrown in for good measure. 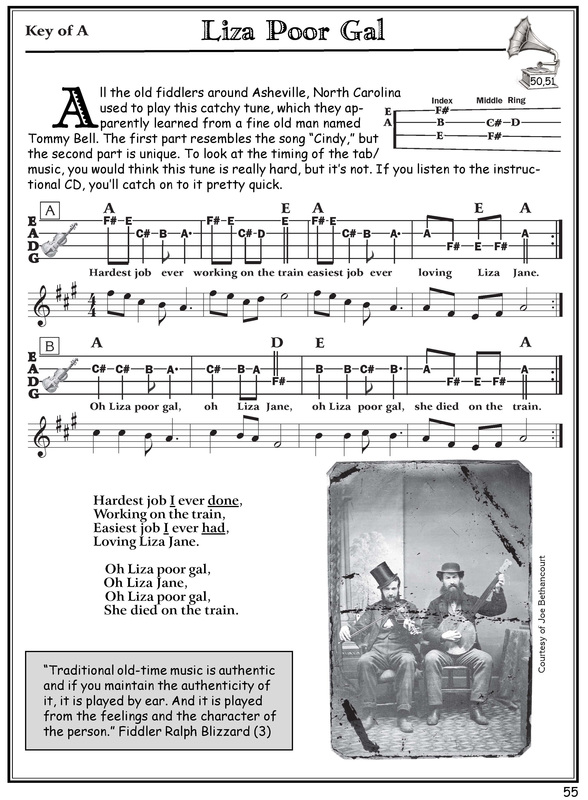 A wonderful guide for the notice fiddler. At ages 60 and 70, my sister and I both have found your Fiddle for the Complete Ignoramus invaluable! We had bought several other books before finding this one and it is the very best! Your book renewed our faith in our ability to learn, and we are both having so much fun with it. And, YES, I believe you can teach an old frog the fiddle! I can’t tell you how much fun your book has made fiddling for me. I have improved more with this book than any I’ve run into. I bought your Old Time Fiddle book, practiced nearly every day for a few months, and now I play with the beginner bluegrass jam on Wednesday nights. I am having fun and I cannot believe that I can actually make music with others. I am lucky that I found your book glad that your book gave the basic fiddle skills to participate. Thank you for enriching my life. Best Regards, Tom N.
I am so glad that I got your book,it is the best one I have every seen even my music teacher said it was the best he had seen .